About 24 hours away from my flight for my first vacation since... Australia/New Zealand over one year ago. Thank you Olympics for creating the necessary post-tourism-boom period! 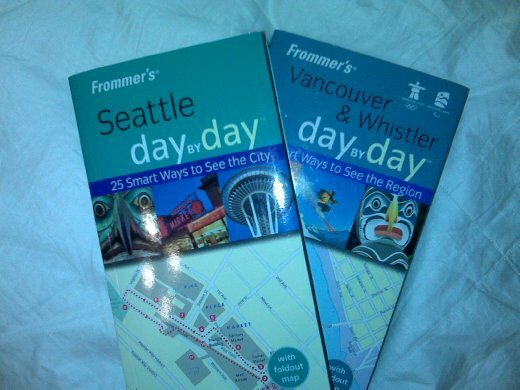 I am very much looking forward to my solo backpacking trip to Seattle and Vancouver. No more walking and dragging a broken bag along miles of streets to hostels - this time it's hotels. Nice hotels. With rooms I don't have to share with 3 potentially drunk, loud travelers. And my own bathroom. Sweet, clean bathroom where I don't have to wear flip-flops in the shower. And cell phone and laptop for working blogging! 2001 here I come! And no, I am not done packing yet. It's gonna be a long night.